EPSC-DPS2019 is committed to providing a safe, welcoming and inclusive experience for participants and abides by the Europlanet Society’s diversity commitment. Participants, including organizers, speakers, volunteers, sponsors, staff and other attendees are expected to abide by this code of conduct. Please switch off or put on silent mode any mobile phones in the lecture rooms. Conference centre Rules of Procedures should be respected. Smoking is prohibited in the entire building except in the areas designated for smokers. EPSC-DPS2019 is a professional networking experience and all attendees, including speakers, organisers, volunteers, sponsors, should be kind to, and respectful of, all. EPSC-DPS2019 is committed to equality of opportunity, to ensure the conference experience does not discriminate against any individual on the basis of their gender, disability, ethnicity, religion or belief, sexual orientation, marital status, age, nationality or socioeconomic background, or other protected characteristics not related to scientific merit. EPSC-DPS2019 expects a diversity of views and opinions to be welcomed by open and constructive criticism of ideas, while personal attacks (verbal or otherwise) on individuals will not be accepted. Harassment, bullying or intimidation will not be tolerated, and anyone asked to stop unacceptable behaviour is expected to comply immediately. Harassment includes but is not limited to inappropriate or intimidating behaviour and language, unwelcome jokes or comments, unwanted touching or attention, offensive images, photography or video recording without permission, and stalking. Harassment, sexual or otherwise, is a form of misconduct that undermines the integrity of the meeting. EPSC-DPS2019 expects anyone that may observe, or be subject to, any violations against these rules to follow the reporting procedures [details to come]. In case alcoholic beverages are available in the context of the conference, participants are expected to drink responsibly. 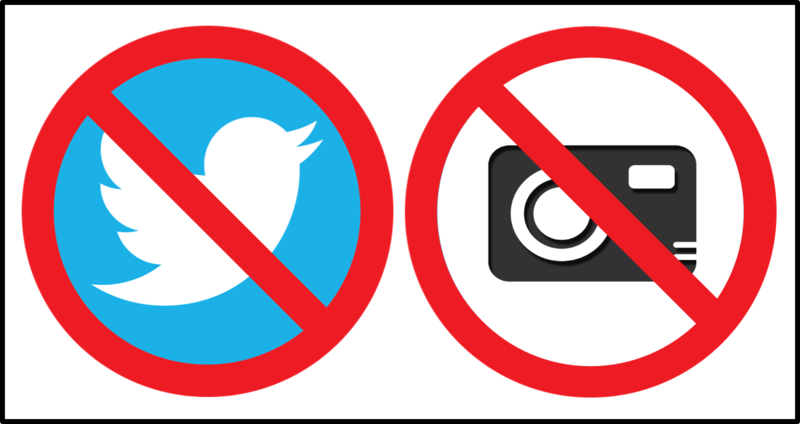 It is prohibited to take photos or videos of scientific material shown in any oral or poster presentations if a presenter displays the ‘no photography/no recording/no sharing’ icon. Press participants reporting on research presented at the conference may take photos of material for their own personal/professional use, provided they do not report on the research or publish any of the recorded material without the author's permission. Press participants should be clearly identifiable from their conference badge. EPSC-DPS2019 follows the guideline for consent related to pictures of a person in a public space under the EU General Data Protection Regulations. Recording via video, photograph, or other means of participants to the EPSC-DPS2019 is in general allowed as long as people are not shown in incriminatory or private situations and images are not used in a misleading or derogatory way. It is recommended to obtain permission of a person recorded if they appear in an identifiable way. It is prohibited to take photos or videos of any scientific material at the conference if a presenter displays the ‘no photography/no recording/no sharing’ icon. Never post any images or video online without the authors’ explicit permission. The default assumption is to allow open discussion of EPSC-DPS2019 oral and poster presentations on social media. However, please respect any request from authors to not disseminate the contents of their presentation if they display the ‘no photography/no recording/no sharing’ icon. If there is an embargo on any work you are presenting, please ask those in the room not to post about your research until after the press conference has taken place. The professional conduct outlined in this Code of Conduct are expected to be applied to social media. You are invited to include the official hashtag, #EPSC-DPS2019, when sharing snippets of your time at the conference on Twitter and elsewhere on social media. The organizers cannot accept liability for personal accident, loss, or damage to private property, which may be incurred as a result of the participation in EPSC-DPS2019. Participants are, therefore, advised to arrange appropriate insurance cover. This should extend not only to travel but also to cancellation costs. The following icon may be downloaded for inclusion on slides or posters to clearly express when an author does not give permission to have their results photographed or posted on any social media networks or blogs. Any questions about this code of conduct should be directed to the organizers by email.